Dubai is one of the fastest growing economies in the world, the gulf city has been transformed dramatically in the last few decades with more and more leisure, commercial and residential developments being designed and constructed. The Emirate state is home to a number of the world’s one and only buildings and projects including the iconic Palm Jumeirah Island, Burj Khalifa tower and Burj Al Arab hotel, not to mention a number of the world’s best shopping malls each with their own theme and unique selling point. Found 257 holiday rentals in Dubai. Luxury 4 bedroom villa in the heart of the the Springs district. Enjoy the breath taking views of the lake directly opposite and views of the Jumeirah Lake towers across the horizon. The Luxury Palm Villa includes high end furnishings throughout, 4 LCD TV's, dedicated pool table room. 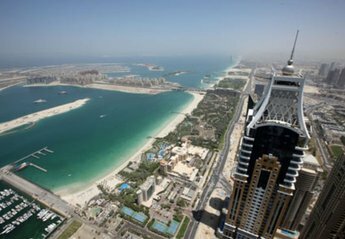 Dubai's best central location for business, beaches, nightlife, entertainment and 5 Star hotels. 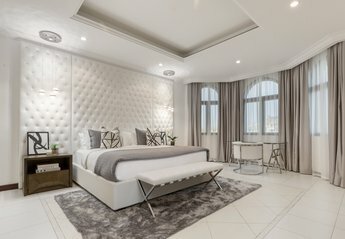 Palm 3 Story Villa with over 6,000 sq ft of space in the heart of Dubai, 2 Master Suites perfect for large families, the location of choice for sun, sand and shopping. 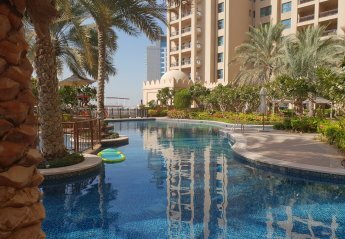 This 2 bedroom apartment with swimming pool is located in Dubai and sleeps 4 people. It has WiFi, parking nearby and air conditioning. One of the Palm's finest beachfront estates, with 6 en-suite bedrooms this property can accommodate up to 16 guests within its 7,000 sq ft of interior space. 2 BHK Fully Furnished Apartment near Metro in JLT, Dubai. Its an 2 BHK Fully Furnished Apartment at JLT, Dubai very Close to Supermarkets, Restaurants, Bars and Clubs. The Property is also very close to famous Dubai Marina, Dubai Eye and JBR area. Located on the iconic Palm Jumeirah, The North Residences offer the finest beachfront holiday retreat for families, tourists and travellers. Well located two bedroom apartment at Jumeirah Beach Residence (JBR) great beach access and close to all amenities. This Dubai short stay apartment is stylishly furnished, completely equipped and fully serviced. The excellent location of this luxurious apartment offers a wealth of local amenities and easy access to golf courses, boat hire, shops & restaurants. Luxuriously furnished one bed room apartment in Downtown facing Burj Khalifa. 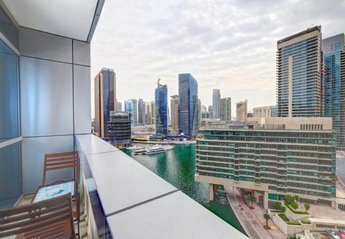 Located in Dubai Marina two bedroom plus a study room apartment offers full sea view and overlooks the Palm Jumeriah from 55 floors. 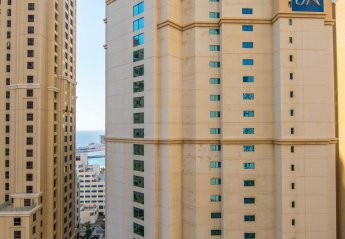 Three Bedroom full sea view apartment in JBR right infront of the Ritz Carlton at the heart of Jumeirah Beach Residence available now on weekly and daily basis. Starting with the private sandy beach, the lovely swimming pool in front of the villa surrounded with sun beds, the relaxing outdoor jacuzzi, the romantic, low-light seating area, a garden with large-self lid Palm Trees and an outdoor barbecue area. Deluxe 2 bedroom apartment, comfortable for 4 guests with all necessary facilities available. The combination of quality accommodation and ideal location in Park Island makes this Dubai holiday apartment a delightful place for short or long Dubai stay. Exuding a lifestyle of exclusivity and elegance this Dubai self catering 3 bedroom apartment is ideally located at Dubai Marina. This luxury 2 bedroom apartment at Jumeirah Lake Towers, fully fitted kitchen with all necessaries. Local facilities include on site gym, sauna, pool, WIFI hotspot and nearby cinema. Beautiful pool view studio apartment with contemporary furnishings, and light airy interiors features, double bed, sofas with coffee table, Free Wi-Fi, telephone, flat screen T.V, coffee table, chairs and balcony . This property offers 103 m² of living space inside, and an abundance of space with its walking paths, gardens, and lakes on the out. Luxury, Modern One bedroom apartment at Murjan 2, Jumeriah Beach Residence. Fully equipped with all basic facilities. Large two bedroom apartment on JBR comfortable for family of 4. Signature one bedroom sea view apartment at Cayan Tower, Dubai Marina. 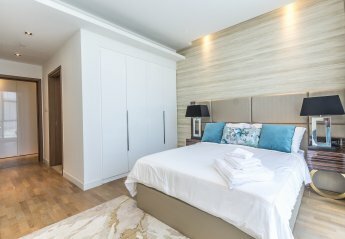 Sleeping upto two guests this modern and stylish apartment is a great accommodation option in one of Dubai most popular areas. Enjoy the best of everything that Dubai has to offer by staying at our luxuriously furnished self-catering apartments at a very affordable rate. With access to the exclusive Palm Jumeirah beach club complete with pool, gym, café and bar. Signature 2 bedroom apartment at Sadaf 7, Jumeirah Beach Residence, sleeps 6. Air conditioning, Balcony / Terrace, Free Allocated Parking Space, In-room Digital Safe, Non smoking, Outdoor pool. 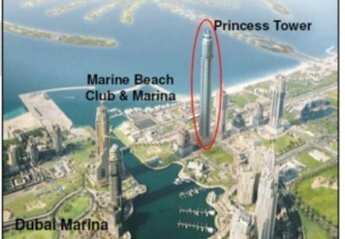 Magnificent Town & Sea View, 2 Bedroom apartment at Princess Tower in Dubai Marina. Large, chic one bedroom apartment in Downtown Dubai. Enjoy picture perfect Marina and Sea Views from the balcony of this spacious Dubai Self Catering Apartment. This apartment provides easy access to idyllic parks, water skiing, boat hiring, skiing, golf, zoo, cinema, shopping areas and restaurants. This property can sleep a maximum of 7 persons. It has 3 bedroom/s and a single bed/maids room with 3 Double Bed/s and 1 Single Bed/s and 2 Sofa bed/s. We found 257 holiday rentals in Dubai. Dubai International Airport is a major transport hub in the Middle East, and is Dubai’s largest and home to international airlines such as Emirates - the largest airline in the region, FlyDubai and Emirates SkyCargo. The UAE also unveiled future plans to expand Al Maktoum International airport to become the world largest airport with 5 runways. The Dubai Metro system is also one of Dubai’s convenient transport links, making it easier to explore the many attractions Dubai is famous for. With available connections to the airport the metro tram system presents another method of travel helpful to all travellers and visitors. Stops along the route include Burj Khalifa, Dubai Marina, Malls of the Emirates and Diera. With more future expansion plans to the metro network, it’s no wonder Dubai is one the world’s fastest developing regions.